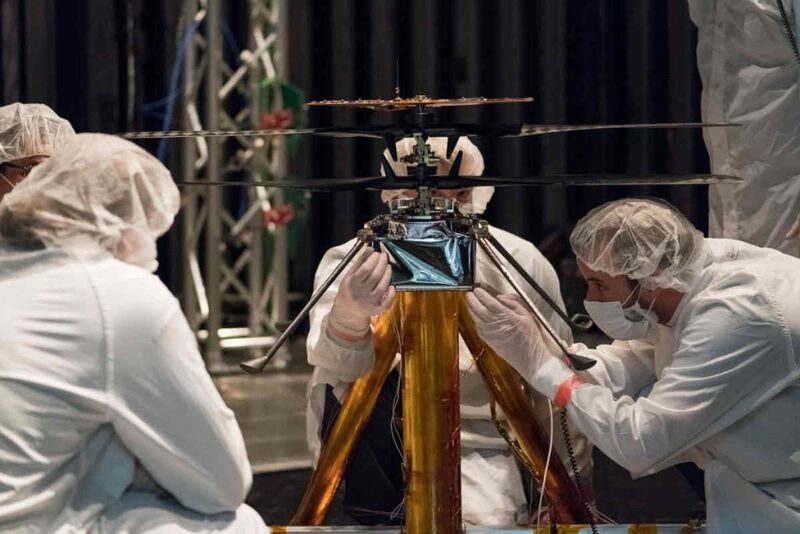 The Mars Helicopter will be stowed in the belly pan of the Mars Rover, which will be the primary payload on board the United Launch Alliance Atlas V rocket. Under the current timeline, the entire payload is expected to reach Mars in February 2021. 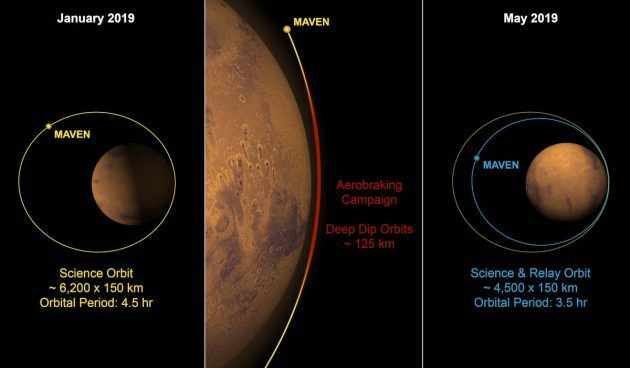 This is an optimum – cost-saving – launch window based on the relative positions of Mars and Earth, perhaps best illustrated by the fact that NASA in mid-February 2019 started aerobraking procedures to reposition its MAVEN spacecraft, currently orbiting Mars, in preparation for the arrival of the 2020 Rover. 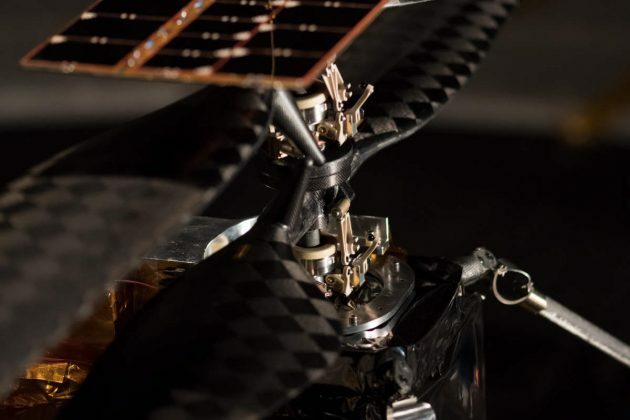 The highest point of the MAVEN’s elliptical orbit will be reduced from 6,200 to 4,500 kilometers above the surface to serve as a data-relay satellite for the Mars 2020 Rover mission. This increases potential coverage of the rover’s landing site, Jezero Crater, with 6.8 orbits per Earth day versus 5.3 previously. Described by NASA as an atmosphere-sniffing spacecraft, MAVEN – Mars Atmosphere and Volatile Evolution – will continue its primary mission to study Martian climate evolution. Based on geological features, such as riverbeds and other obvious liquid-driven erosion, scientists believe Mars has lost 99 per cent of its atmosphere due to planetary shifts and solar wind.